McKee said he expects some changes will be necessary, which is only fitting for an organization in the business of instigating innovation. Connect is a regional organization founded in 1985 that fosters entrepreneurship through business development, networking, collaboration and startup incubator offerings. Working on an annual budget of $3 million, Connect has helped more than 3,000 companies attract more than $2 billion in investment capital. 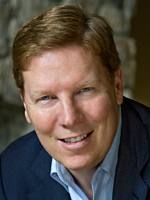 McKee comes to Connect after extensive experience in banking and pharmaceuticals, most recently as co-founder of Global Bio-Link, a pharmaceutical company that commercializes drugs in foreign markets that are already approved in the United States. Prior to that, McKee was chairman and CEO of Akela Pharma Inc. and its predecessor, Nventa Biopharmaceuticals. He has also held development and management roles at Valentis Inc. and Genzyme Corporation, where he helped launch its drug Cerezyme throughout Southeast Asia. Before his work in life sciences, McKee, who was an economics major at the University of Washington at Seattle, got his start in banking, first for the Japanese bank Yasuda Trust, and then at UBS in Tokyo. He then transitioned into a public policy role as the only foreign aide in the office of Taro Nakayama, a member of Japan’s Parliament. McKee, who speaks Japanese fluently, then went for his MBA and a master’s degree in international studies at the University of Pennsylvania and the Wharton School. This array of skills and crossover between the technical and business development that made McKee stand out from the 60 other CEO contenders over the roughly six-month hiring process. “We had 61 initial candidates, narrowed that to 14, and then invited seven to interview,” said Carrie Stone, founder of cStone and Associates, who handled the recruitment and selection process pro bono for Connect. It the first entirely pro bono case the firm has done in 10 years and was done to honor Roth and give back to the community. She said there was an 11-person committee — including Mary Walshok, Ted Roth, Malin Burnham and Paul Laikind — who eventually settled on McKee as the candidate who met all their criteria, and came with a bonus. Tyler Orion, who was serving as Connect’s interim CEO, agreed that McKee’s varied background and crossover between tech and finance made him an ideal candidate. “No. 1 was Greg has this amazing basket of skills. He’s an entrepreneur, he has finance and investment banking experience, he’s got life-science company CEO experience, and he has experience in the public policy area insofar as he has government service,” she said. McKee said the next phase will include answering some tough questions. He said he knows the answer is a resolute "yes," but figuring out how to continue to add value and convey that to the local entrepreneurial community will be key to the organization’s success. One problem area where he sees Connect filling a void is in bridging a gap between what he calls the three main “ingredients of innovation”: technology, people and capital. “With that kind of focus and filter in mind, I want to dig into each one of those boxes in detail and figure out what is it we need to do to refine our programs, which are our delivery vehicle for that stuff to entrepreneurs and our constituents, that really drive the growth of innovative companies here,” he said. Some of the gaps include figuring out a way to learn more about the extensive talent available in San Diego coming out of the major research institutes every year, and finding a way to connect them with companies needing highly skilled workers and harping about a lack of them. 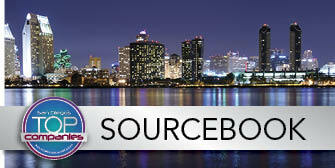 On the tech side, McKee said he’d love to start a database of all the products and innovations in San Diego. The third component, capital, is the thorn in the side of San Diego entrepreneurship. In addition to drawing more funding sources to the area, McKee said he’d like to see Connect bridge the gap between entrepreneurs needing funds and firms needing solid investment opportunities. On the flip side, he said many companies don’t know where to go or how to go about accessing capital, another niche that Connect can help fill. With a large hub of mobile and software technology in San Diego, this is the one area where McKee’s resume isn’t quite as stellar, but he said he doesn’t see this as a disadvantage. For now, McKee said one of his top priorities is just getting out and meeting people, and he’s been pleasantly surprised by the support of the local entrepreneurial community. Stepping into a spot passed down from Bill Otterson to Fred Cutler and then Roth, regardless of charting your own course or not, is no small task, but Orion said McKee has been very open to hearing from her and the community. She said the best advice she can give him going forward is just that: listen.